All investments have been cancelled and refunded. 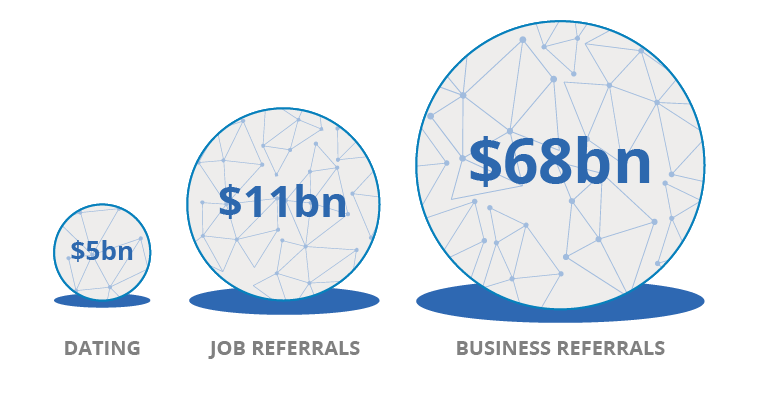 Unique approach for making referrals across multiple verticals has the potential to revolutionize the $80 billion+ referrals industry! 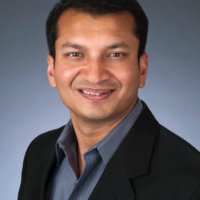 Founder Manshu Agarwal is a Cambridge engineer and Columbia MBA, who helped raise $100 million as a business developer at a biotechnology company, worked as a Wall St investment banker, and was a strategy consultant for Fortune 500 companies. Ponder is a gamified platform for referrals. It is made for busy people and companies that want to cut through the noise to make quality connections. 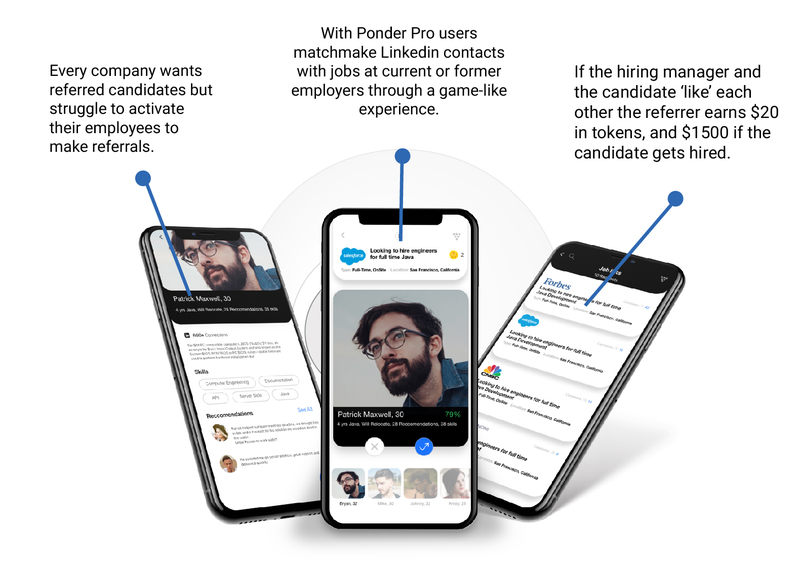 Unlike traditional matching applications, Ponder gets trusted friends and contacts to play matchmaker, using game mechanics and financial rewards as motivators. We focus on 3 industry sectors and will later build a platform for companies to develop other sectors eg. Investments, Roommates. You matchmake by dragging and dropping photos over each other. If the couple ‘like’ each other, the matchmaker earns $10. The two singles pay $10 each, leaving Ponder with $10 net from each successful match. If the couple eventually marries, the matchmaker earns $1000. With the final app for business referrals, Ponder becomes a social network for friends to help each other find trusted services - from baby sitters to music teachers. The matchees that are successfully matched pay Ponder, a portion of which is given to the successful matchmaker. Most matching applications use algorithms alone for connecting strangers. And referral-based applications simply forward referral links. While V1 was a success, V2 is going to be better, with game levels added in and the brand new Bounty feature! We are aiming to hit 0.5m active accounts by July 2019, and $0.5m of monthly revenues by Aug 2019. 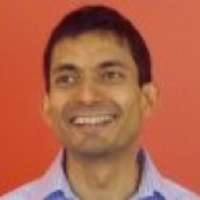 Manshu is a Cambridge engineer, Columbia MBA and has 20 years of top-tier startup and corporate leadership experience. He is passionate about making long-lasting change in the world through technology. He was previously Business Development Director at Synthetic Genomics, a DFJ-funded startup. He helped them successfully launch two companies - a software platform for bioengineering and a water cleaning technology. Prior to that, he was a Wall St banker, raising money and doing mergers & acquisitions for small/mid-cap technology firms. Earlier in his career, he was a management consultant with the global consulting firm LEK, and at Coca-Cola. Chris is a top-tier CTO who has done it all. He loves to scale startups from nothing to millions of users. 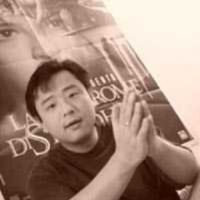 He was previously CTO of Storybox, a social marketing platform funded by Eric Schmidt’s VC fund. 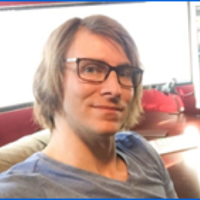 He built the platform and helped scale it to 4m hits per day in a short period of time. Prior to Storybox, Chris was an Architect at the DMV.org restructuring their high-traffic websites to increase speed and security. Before that he was a Senior Engineer at Qualcomm. Dan has 15 years of product marketing experience. He grew the photo-sharing app Butter to over 1.5 million users. 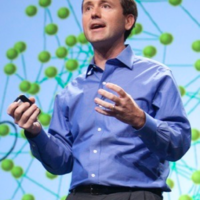 He is a mentor at top LA accelerator, Mucker Lab. 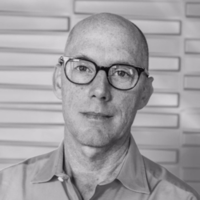 Patrick has 16 years of design experience in the media & tech industries. He has designed websites and mobile apps for Forbes, Hilton, AP News, and Law.com, and the Golf Channel. 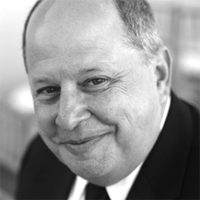 Joe has vast experience in leading and growing early-stage tech companies. He is the co-founder of MySpace which he sold to Newscorp for $580m. Prior to that, he founded The Software Toolworks, which he sold to Pearson for $462m. Joe is a Board Observer with Ponder. Over 10 years of product and gaming experience. 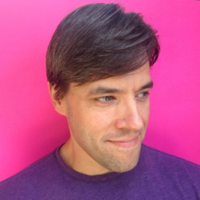 VP of Product Marketing at Zynga, formerly Sr Product Director at Kabam. Has helped develop and grow several of the most popular mobile games in the world. Join us in turbo-charging referrals! The smallest investment amount that Ponder is accepting. Ponder needs to reach their minimum funding goal before the deadline. If they don’t, all investments will be refunded. If a trigger event for Ponder occurs, the discount provision gives investors equity shares (or equal value in cash) at a reduced price. Ponder needs to raise $50K before the deadline. The maximum amount Ponder is willing to raise is $1.07M. 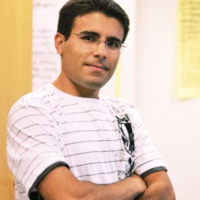 Manshu is a Cambridge engineer, Columbia MBA and has 20 years of top-tier startup and corporate leadership experience. During his career he has helped raise over $100m for startups. Chris is a top-tier CTO who has done it all. He was previously CTO of Storybox, a social marketing platform funded by Eric Schmidt’s VC fund. He built the platform and helped scale it to 4m hits per day. 16 years of design experience. Has designed websites and mobile apps for Forbes, Hilton, AP News, and Law.com among others. 15 years of digital marketing experience. Grew own advertising firm to $10m+ run rate. Created business models for Idealab, the famous incubator. Senior exec with tech, media, and startup experience. Former head of Hinduja TMT, India’s largest cable company. Produced Indian Idol and several other popular TV shows. 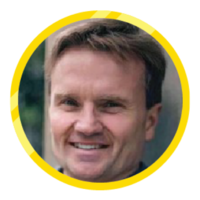 Denis is a cryptoplatform architect and consultant. 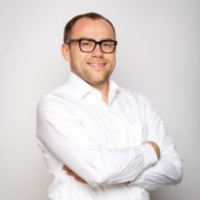 His extensive software development experience includes blockchain, Ethereum and Solidity. 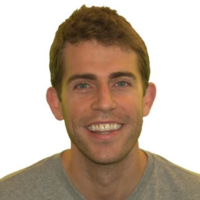 Joe has vast experience in leading and growing early stage tech companies. He is the co-founder of MySpace which he sold to Newscorp for $580m. Prior to that he founder The Software Toolworks, which he sold to Pearson for $462m. Over 20 years of experience in dating and internet brands. Former CEO of Spark Networks (NYSE: LOV), the owner of Christian Mingle and JDate. Former GM at Internet Brands and Senior Director at Yahoo. First investor in Paypal. Owner of Australia’s largest incubator. Co-founded Beijing-based ntech rm, with current run rate of over $1bn RMB. Runs a Shanghai-based seed fund, 23Seed. One of the judges in Chinese version of Shark Tank. Over 20 years of marketing and startup experience. Former EVP at Ogilvy & Mather. EIR at Bezos Expeditions. 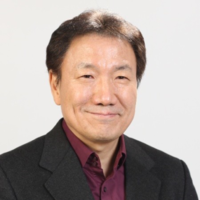 Professor at Korea University teaching Technology Investment and M&A. Leads Hotfund Investment Advisory, linking investors with digital asset opportunities. Former fund manager at Korea Post. Co-CEO of Blockchain Times, the fastest growing blockchain magazine for Korea. Editorial Board of Sunday Journal and Financial Today. Member of Samsung Electronics Management Innovation Team. 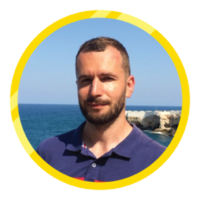 Editor for ICO Crowd magazine, the world’s first publication for the ICO industry. Founder & CEO of Blockchain Lab, a crypto technology company focused on R&D on Ethereum, Bitcoin, and Corda blockchains. Successful technology entrepreneur and investment banker. Currently CEO of Rentberry, the blockchain-based property rental tool, which he recently led to a successful $30m ICO. 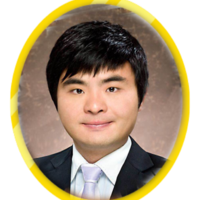 Mickey Choi has been serving as a representative of the stock market community in Korea. 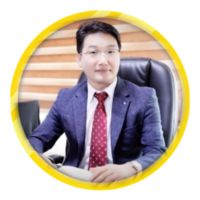 He was an early covert to blockchain projects and is involved in ICO project analysis, marketing, incubation and consulting for investors around the world. Vivi Lin is the founder and CEO of blockchain-focused TV channel “On the Block”, and partner at Crypto Capital which invests in and incubates blockchain startups. Online Dating Just Isn't Working Out, Could Blockchain Provide A Solution? 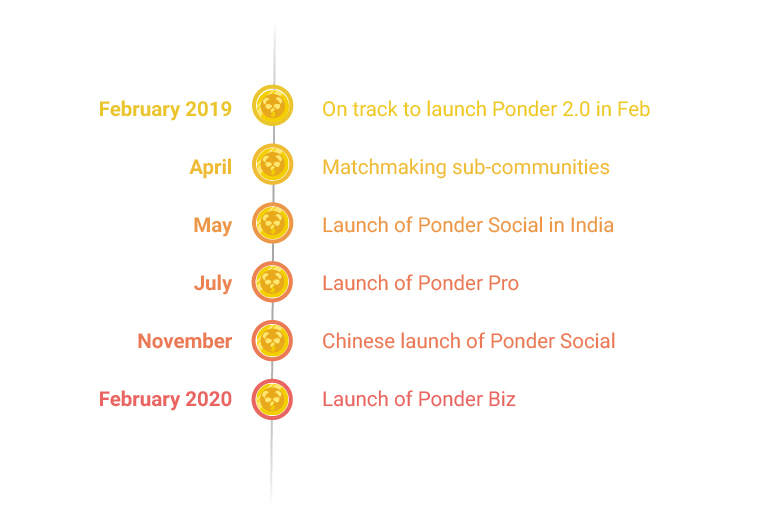 PonderApp is a new decentralized matchmaking platform designed to revolutionize how people meet. 블록체인 전문미디어 CoinTime에서는 LUXSENS 사의 공동대표 Kenny Au의 특별 기고문을 공유합니다. '포브스 차이나' 지에서도 명성을 날리고 있는 Kenny Au의 기고문을 통해, 블록체인의 미래를 알아봅니다. History of the oldest sport in town, and how modernity can change the face of social interactions, dating and matchmaking. Love Is 'No Battlefield' With The Blockchain, But Is It A Perfect Match? Manshu Agarwal: Hi. My name is Manshu Agarwal I'm the CEO and Founder of Ponder. By playing matchmaker, you recognize the power of a referral. It adds so much to people's lives but they're very hard to do. We try to bring in married people to help others and we're just getting started. I'm doing this because my father's a doctor. My brother's a doctor. My other brother is a financial analyst. They've all been working in jobs. I feel that I've got something to contribute as an entrepreneur. I'm super excited about being here. This is a great opportunity to be able to present Ponder on a much larger stage. Manshu Agarwal: Wonderful. I'm Manshu Agarwal. I'm the CEO and founder of Ponder, gamified referrals on the blockchain. The reason I started was because a few years ago, I was single and had this friend of mine, Caroline. She's a married girl and she'd always try to set me up with friends of hers. These are a great way to meet quality dates. A year after that, I was looking for a job. I had a friend of mine, Mario, who new the hiring manager of the job I eventually got. It made me recognize the power of referrals. It's the best way to make a connection between people. I'm sure all of you as VC's recognizes how important that quality introduction is. Tim Draper: Wait. Who referred you? Speaker 19: It utilizes game mechanics and financial rewards to make everyone a matchmaker. You'll see someone like Sarah here and underneath there are a set of prospects that you can set her up with. If you see anyone could be a good match, you just drag and drop. The two people are notified. If they like each other, you win 10 bucks. If they get married, you win a thousand bucks. You have this balance that goes up and down based upon the matches you make for others, versus the matches made for you. You can only cash out once you've made 10 matches for others. Tim Draper: How much did they pay to get matched up? Manshu Agarwal: They each pay $10, so we take $20 from the two singles. We give $10 to the successful matchmaker. We keep $10 ourselves. Tim Draper: And you figure the odds are worse than one in a hundred that they're getting married. Manshu Agarwal: Exactly. I think we're pretty safe for that. Tim Draper: Otherwise this business model is not going to work. Manshu Agarwal: No. That might be a little difficult. Good question. Polly: You get your money [crosstalk 00:27:41]. Manshu Agarwal: We only focus on the positive. No money lost if they're divorced. Polly: Does Sarah know, when we say that that guy would be good for her, we know that guy? Manshu Agarwal: You can do. You can just matchmaker for friends alone or you can actually match make for complete strangers. We found out people actually enjoy matching for even complete strangers, although their match rates are not quite as high as if you have a mutual friend in common. But people just enjoy the fact that somebody has thought who could be a better match for them. It's far better than the computer algorithm sending you a whole bunch of unknowns. Tim Draper: You're like a big mechanical turk for dating. Manshu Agarwal: Very much along those lines. Tim Draper: That is hilarious. Oh my god. This is fun. Manshu Agarwal: We have 80,000 users, 10,000 monthly active users of a match rate which is six times the industry average. Bill Draper: What do you mean by the industry? Manshu Agarwal: The online dating industry. Speaker 19: The common system doesn't live very well. Less than one in four online daters actually find a relationship and they spend seven more times more time online than going on dates. If there was any other product that have those kind of success metrics, you'd give it back. You'd say, "Sorry, this is not working." Manshu Agarwal: We're already making money, one dollar per active user per month and nearly half our users are married. They're playing matchmaker for other people. Don't give up your day job, but this is a very nice little bit of extra cash at the end of the month. We've now replicated the model, given that product market fit for the job referrals industry which is far more lucrative because everybody knows that a referred candidate is the best candidate to get, but they have a hard time finding ways to motivate their employee base to make referrals because it's not fun. It feels like work. We're making it feel like a game. We want people to wake up every morning and say, "I want to make some referrals now." Manshu Agarwal: That's where the company pays. Tim Draper: You may want to pay the matchmaker more than that. Manshu Agarwal: Oh, sorry, so $10 for the first where they both like each other digitally. And then if they end up getting a job, then the matchmaker wins $1500. I'm sorry. We get more from the company. We get $3,000 from the company. Manshu Agarwal: $1500 goes to the matchmaker. Tim Draper: You're splitting it all up [crosstalk 00:29:38]. Manshu Agarwal: Exactly. We've got a lot of margin to play it with because currently they're paying 20 to $30,000. As long as it's far less than that, it becomes a no-brainer for a company. We've done a deal with recruiter.com which will share their entire database of jobs over 20 million job seekers to neatly become the largest job referrals platform in the world. Bill Draper: What did you do before you started this? Manshu Agarwal: I was actually working for one of your portfolio companies then, Synthetic Genomics. Tim Draper: Oh, wow. That's a big switch for you. Manshu Agarwal: It was because I felt the pain points myself. I actually found the job through a referral, so yes, it was definitely big a switch, but I understood what was required in order to overcome those problems. Bill Draper: If this fails, what would be the reason? Manshu Agarwal: I think the reason would be we haven't engaged the referrers sufficiently such that the lifetime over which they stick around is great enough to be able to overcome the cost of acquiring them. Bill Draper: How do you look to resolve that problem? Manshu Agarwal: Sure. One thing is through deals with like the recruiter.com. Immediately, we get a low cost of customer acquisition. And then secondly, we have to iterate constantly on the user experience to make it fun, to make it enjoyable, to make it a challenge. We want to feel like a puzzle, like a word with friends type of experience. Polly: Like they want to keep coming back to say, I did that so well for those people, I want to try these people. Manshu Agarwal: Exactly. The money trading aspect is there but it's not the core. The core is that feeling of goodwill you get when you do something good for people. Manshu Agarwal: Ultimately, what we want to become is a new type of social network where instead of being passive consumer of content on most social networks, here, you're actively helping others and you're being helped yourself. Vish Mishra: The other thing I'm trying to grapple with, okay, two businesses and not much in common. Just because you're a software platform, because the whole dynamic, characteristics. People are looking for a job, career, versus people who want to have a social life or a date. The more emotional or universal, more career and economics and all, so you had to pick one business that you personally feel passionate about. Manshu Agarwal: We quickly realized that we weren't a dating app, we weren't job referrals app. What we were is a way to make people come in and make connections between entities, between parties. The same user experience can be replicated in many different industries. Yes, we can't go to too many because we'd be stretching ourself thin and I totally agree with you there, but we can do the ones that we think strategically make the most sense. Manshu Agarwal: We think recruiting, dating and the third one, being for all the other industries where matchmaking can be really helpful such as investor-investee, roommate matchmaking, even baby sitting matchmaking, all of those will create an SDK, so that other companies, other developers can take our package and utilize that for that specific sector. Vish Mishra: You want to be a platform company now. Manshu Agarwal: We'll be a platform company, absolutely. Vish Mishra: I see. That's interesting. Tim Draper: Good guy, good gracious. Thank you for very much for coming to Meet the Drapers. 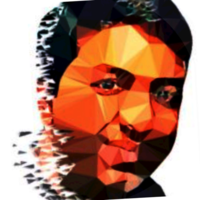 Manshu Agarwal: Thank you. It's been a pleasure. 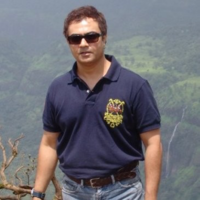 Manshu Agarwal: I think I presented my company as good as light as I could. I've been to a lot of VC meetings, so I was expecting this to be very much along the lines of a traditional VC meeting. It was a lot friendlier. There was also a good number of opinion from different size where there was a lot of disagreement. It allowed me to put in some points that I wouldn't have done if it was just straight questions. I think Tim really got what we were trying to do. I think he can see the potential for how disruptive this could be. From just an addition to the world, we think this will have a tremendous impact. Tim Draper: Now, let's see what the judges thought. But remember, you can be a judge yourself. You can invest in Ponder. Polly, what'd you think of Ponder? Polly: I got kind of excited at the prospect of matching up different people with different people because it wasn't about the money. It was more about the competition of being the person that's so smart about people that I know that I can match them up or if I look at a profile of someone, even that I didn't know, the idea that, "Oh, I bet that would be good for my sister." Tim Draper: Vish, how about you? What do you think? Vish Mishra: His fundamental thinking that he just wants to make connections which is pretty good because yeah, connections you can make using tools. And obviously it's a platform. My feeling is, unless he focuses and maybe the jobs or the dating, they're all still crowded [inaudible 00:33:52]. Polly: I like the babysitting one. Vish Mishra: I think also he just needs to go a little bit deeper. His [message 00:33:56] has to be different. Bill Draper: I would be willing to back this if done right. It looked like he was just a man who would do it right. I liked him a lot. Tim Draper: Yeah. Okay. We're going to go to the crystal ball. Polly: Beanie, beanie. You're pondering. Tim Draper: I'm pondering a referral to another sphere. Now, we vote. And know that these are the votes of the judges and you can vote at home. 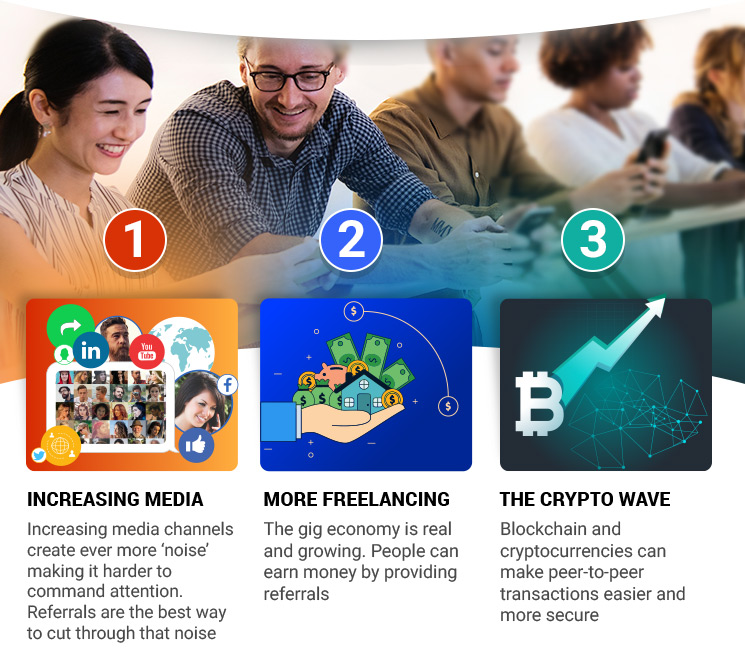 Go to meetthedrapers.com and you can also invest. Here we go. Thumbs up, thumbs down, thumbs all around. Wow. Oh, that is really interesting. Polly: That's the middle one. Tim Draper: That was really interesting. Polly: He's at a medium one, not a complete one. Tim Draper: And I was mostly interested than I was at thumbs up. To date, we have not generated sufficient revenue to cover our operating csots, do not foresee generating enough revenue in the near future to cover our operating costs and therefore rely on external financing. We are a startup Company and our business model currently focuses on building innovative products and growing market share rather than generating revenue. While we intend to generate revenue in the future, we cannot assure you when or if we will be able to do so. We rely on external financing to fund our operations. We anticipate, based on our current proposed plans and assumptions relating to our operations (including the timetable of, and costs associated with, new product development) that, if the Minimum Amount is raised in this Offering, it will not be sufficient to satisfy our contemplated cash requirements through approximately October 2019, assuming that we do not accelerate the development of other opportunities available to us, engage in an extraordinary transaction or otherwise face unexpected events, costs or contingencies, any of which could affect our cash requirements. We expect capital outlays and operating expenditures to increase over the next several years as we expand our business. Our future funding requirements will depend on many factors, including but not limited to the following: The cost of expanding our operations; The financial terms and timing of any collaborations, licensing or other arrangements into which we may enter; The rate of progress and cost of development activities; The need to respond to technological changes and increased competition; The costs of filing, prosecuting, defending and enforcing any intellectual property rights; The cost and delays in product development that may result from changes in regulatory requirements applicable to our products; Sales and marketing efforts to bring these new product candidates to market; Unforeseen difficulties in establishing and maintaining an effective sales and distribution network; and Lack of demand for and market acceptance of our products and technologies. We may have difficulty obtaining additional funding and we cannot assure you that additional capital will be available to us when needed, if at all, or if available, will be obtained on terms acceptable to us. If we raise additional funds by issuing additional debt securities, such debt instruments may provide for rights, preferences or privileges senior to the Securities. In addition, the terms of the debt securities issued could impose significant restrictions on our operations. If we raise additional funds through collaborations and licensing arrangements, we might be required to relinquish significant rights to our technologies or product candidates, or grant licenses on terms that are not favorable to us. If adequate funds are not available, we may have to delay, scale back, or eliminate some of our operations or our research development and commercialization activities. Under these circumstances, if the Company is unable to acquire additional capital or is required to raise it on terms that are less satisfactory than desired, it may have a material adverse effect on its financial condition. Our company currently has 1 employee. Recruiting and retaining highly qualified personnel is critical to our success. These demands may require us to hire additional personnel and will require our existing management personnel to develop additional expertise. We face intense competition for personnel. The failure to attract and retain personnel or to develop such expertise could delay or halt the development and commercialization of our product candidates. If we experience difficulties in hiring and retaining personnel in key positions, we could suffer from delays in product development, loss of customers and sales and diversion of management resources, which could adversely affect operating results. Our consultants and advisors may be employed by third parties and may have commitments under consulting or advisory contracts with third parties that may limit their availability to us. In certain instances, we rely on outsourcing vendors around the world because the relationship is advantageous due to quality, price, or lack of alternative sources. If outsourcing services are interrupted or not performed or the performance is poor, this could impact our ability to process, record and report transactions with our customers and other constituents. Such interruptions in the provision of services could result in our inability to meet customer demand, damage our reputation and customer relationships and adversely affect our business. We may plan to implement new lines of business or offer new products and services within existing lines of business. Costs associated with information security Ð such as investment in technology, the costs of compliance with consumer protection laws and costs resulting from consumer fraud Ð could cause our business and results of operations to suffer materially. Additionally, the success of our online operations depends upon the secure transmission of confidential information over public networks, including the use of cashless payments. The intentional or negligent actions of employees, business associates or third parties may undermine our security measures. As a result, unauthorized parties may obtain access to our data systems and misappropriate confidential data. There can be no assurance that advances in computer capabilities, new discoveries in the field of cryptography or other developments will prevent the compromise of our customer transaction processing capabilities and personal data. If any such compromise of our security or the security of information residing with our business associates or third parties were to occur, it could have a material adverse effect on our reputation, operating results and financial condition. Any compromise of our data security may materially increase the costs we incur to protect against such breaches and could subject us to additional legal risk. The company has accrued significant liabilities that need to be paid off in the coming months. Failure to complete a capital raise to cover all liabilities may result in legal action on the part of the vendors owed. The company also has debt in the form of convertible notes and a bridge note. The outstanding convertible notes are for a principal amount of $769,500, and will convert into equity on completion of the Series A round, and with a maturity date of June 30th 2019. The bridge note is for a total repayment of $220,000, with a maturity date of June 30th 2019. Failure to repay this debt will risk litigation being brought against the company. We may share information about such persons with vendors that assist with certain aspects of our business. Our databasesÕ security could be compromised and confidential customer or business information misappropriated. Loss of customer or business information could disrupt our operations, damage our reputation, and expose us to claims from customers, financial institutions, payment card associations and other persons, any of which could have an adverse effect on our business, financial condition and results of operations. In addition, compliance with tougher privacy and information security laws and standards may result in significant expense due to increased investment in technology and the development of new operational processes. We collect and store sensitive data, including intellectual property, our proprietary business information and that of our customers, suppliers and business partners, and personally identifiable information of our customers and employees, in our data centers and on our networks. The secure processing, maintenance and transmission of this information is critical to our operations and business strategy. Despite our security measures, our information technology and infrastructure may be vulnerable to attacks by hackers or breached due to employee error, malfeasance or other disruptions. Any such breach could compromise our networks and the information stored there could be accessed, publicly disclosed, lost or stolen. Any such access, disclosure or other loss of information could result in legal claims or proceedings, liability under laws that protect the privacy of personal information, and regulatory penalties, disrupt our operations and the services we provide to customers, and damage our reputation, and cause a loss of confidence in our products and services, which could adversely affect our operating margins, revenues and competitive position.The secure processing, maintenance and transmission of this information is critical to our operations and business strategy, and we devote significant resources to protecting our information by ensuring strong passwords, restricted access among team members, and multi-signatures required in sensitive areas. Our future global operations are required to comply with the U.S. Foreign Corrupt Practices Act and similar anti-bribery laws in other jurisdictions and with U.S. and foreign export control, trade embargo and customs laws. Our future international operations could be affected by currency fluctuations, capital and exchange controls, expropriation and other restrictive government actions, changes in intellectual property legal protections and remedies, trade regulations and procedures and actions affecting approval, production, pricing, and marketing of, reimbursement for and access to our products, as well as by political unrest, unstable governments and legal systems and inter-governmental disputes. Any of these changes could adversely affect our business. Many emerging markets have experienced growth rates in excess of the worldÕs largest markets, leading to an increased contribution to the industryÕs global performance. There is no assurance that these countries will continue to sustain these growth rates. In addition, some emerging market countries may be particularly vulnerable to periods of financial instability or significant currency fluctuations or may have limited resources for healthcare spending, which can adversely affect our results. In particular, the Company is dependent on Himanshu Agarwal and Hooman Imani who are Chief Executive Officer and Chief Technology Officer of the Company respectively. The Company has or intends to enter into employment agreements with Mr. Agarwal and Mr. Hooman Imani although there can be no assurance that it will do so or that they will continue to be employed by the Company for a particular period of time. The loss of Agarwal and Imani or any member of the board of directors or executive officer could harm the CompanyÕs business, financial condition, cash flow and results of operations. Such intellectual property rights, however, may not be sufficiently broad or otherwise may not provide us a significant competitive advantage. In addition, the steps that we have taken to maintain and protect our intellectual property may not prevent it from being challenged, invalidated, circumvented or designed-around, particularly in countries where intellectual property rights are not highly developed or protected. In some circumstances, enforcement may not be available to us because an infringer has a dominant intellectual property position or for other business reasons, or countries may require compulsory licensing of our intellectual property. Our failure to obtain or maintain intellectual property rights that convey competitive advantage, adequately protect our intellectual property or detect or prevent circumvention or unauthorized use of such property, could adversely impact our competitive position and results of operations. We also rely on nondisclosure and noncompetition agreements with consultants and other parties to protect, in part, trade secrets and other proprietary rights. There can be no assurance that these agreements will adequately protect our trade secrets and other proprietary rights and will not be breached, that we will have adequate remedies for any breach, that others will not independently develop substantially equivalent proprietary information or that third parties will not otherwise gain access to our trade secrets or other proprietary rights. As we expand our business, protecting our intellectual property will become increasingly important. The protective steps we have taken may be inadequate to deter our competitors from using our proprietary information. In order to protect or enforce our patent rights, we may be required to initiate litigation against third parties, such as infringement lawsuits. Also, these third parties may assert claims against us with or without provocation. These lawsuits could be expensive, take significant time and could divert managementÕs attention from other business concerns. The law relating to the scope and validity of claims in the technology field in which we operate is still evolving and, consequently, intellectual property positions in our industry are generally uncertain. We cannot assure you that we will prevail in any of these potential suits or that the damages or other remedies awarded, if any, would be commercially valuable. Any dispute or litigation regarding patents or other intellectual property could be costly and time-consuming due to the complexity of our technology and the uncertainty of intellectual property litigation and could divert our management and key personnel from our business operations. A claim of intellectual property infringement could force us to enter into a costly or restrictive license agreement, which might not be available under acceptable terms or at all, could require us to redesign our products, which would be costly and time-consuming, and/or could subject us to an injunction against development and sale of certain of our products or services. We may have to pay substantial damages, including damages for past infringement if it is ultimately determined that our products infringe on a third partyÕs proprietary rights. Even if these claims are without merit, defending a lawsuit takes significant time, may be expensive and may divert managementÕs attention from other business concerns. Any public announcements related to litigation or interference proceedings initiated or threatened against us could cause our business to be harmed. Our intellectual property portfolio may not be useful in asserting a counterclaim, or negotiating a license, in response to a claim of intellectual property infringement. In certain of our businesses we rely on third party intellectual property licenses and we cannot ensure that these licenses will be available to us in the future on favorable terms or at all. In order to achieve the CompanyÕs near and long-term goals, the Company will need to procure funds in addition to the amount raised in the Offering. There is no guarantee the Company will be able to raise such funds on acceptable terms or at all. If we are not able to raise sufficient additional capital in the future, we will not be able to execute our business plan, our continued operations will be in jeopardy and we may be forced to cease operations and sell or otherwise transfer all or substantially all of our remaining assets, which could cause an Investor to lose all or a portion of his or her investment. The Company is dependent on Himanshu Agarwal and Hooman Imani in order to conduct its operations and execute its business plan, however, the Company has not purchased any insurance policies with respect to those individuals in the event of their death or disability. Therefore, if any of Mr. Agarwal and Mr. Imani die or become disabled, the Company will not receive any compensation to assist with such personÕs absence. The loss of such person could negatively affect the Company and its operations. Therefore, you have no audited financial information regarding the CompanyÕs capitalization, assets or liabilities, or profits and losses on which to make your investment decision. Additionally, we have not had our financial statements reviewed by a third-party CPA. If you feel the information provided is insufficient, you should not invest in the Company. We are subject to income taxes as well as non-income based taxes, such as payroll, sales, use, value-added, net worth, property and goods and services taxes, in both the U.S. and potentially in various foreign jurisdictions in the future. We do not have the internal infrastructure necessary, and are not required, to complete an attestation about our financial controls that would be required under Section 404 of the Sarbanes-Oxley Act of 2002. We expect to incur additional expenses and diversion of managementÕs time if and when it becomes necessary to perform the system and process evaluation, testing and remediation required in order to comply with the management certification and auditor attestation requirements. Various federal and state labor laws govern our relationship with our employees and affect operating costs. These laws include minimum wage requirements, overtime pay, healthcare reform and the implementation of the Patient Protection and Affordable Care Act, unemployment tax rates, workersÕ compensation rates, citizenship requirements, union membership and sales taxes. A number of factors could adversely affect our operating results, including additional government-imposed increases in minimum wages, overtime pay, paid leaves of absence and mandated health benefits, mandated training for employees, increased tax reporting and tax payment, changing regulations from the National Labor Relations Board and increased employee litigation including claims relating to the Fair Labor Standards Act. We seek to maintain, extend, and expand our brand image through marketing investments, including advertising and consumer promotions, and product innovation. Increasing attention on marketing could adversely affect our brand image. It could also lead to stricter regulations and greater scrutiny of marketing practices. Existing or increased legal or regulatory restrictions on our advertising, consumer promotions and marketing, or our response to those restrictions, could limit our efforts to maintain, extend and expand our brands. Moreover, adverse publicity about regulatory or legal action against us could damage our reputation and brand image, undermine our customersÕ confidence and reduce long-term demand for our products, even if the regulatory or legal action is unfounded or not material to our operations. In addition, our success in maintaining, extending, and expanding our brand image depends on our ability to adapt to a rapidly changing media environment. We increasingly rely on social media and online dissemination of advertising campaigns. The growing use of social and digital media increases the speed and extent that information or misinformation and opinions can be shared. Negative posts or comments about us, our brands or our products on social or digital media, whether or not valid, could seriously damage our brands and reputation. If we do not establish, maintain, extend and expand our brand image, then our product sales, financial condition and results of operations could be adversely affected. Consumer preferences our products change continually. Our success depends on our ability to predict, identify, and interpret the tastes and habits of consumers and to offer products that appeal to consumer preferences. If we do not offer products that appeal to consumers, our sales and market share will decrease. We must distinguish between short-term fads, mid-term trends, and long-term changes in consumer preferences. If we do not accurately predict which shifts in consumer preferences will be long-term, or if we fail to introduce new and improved products to satisfy those preferences, our sales could decline. If we fail to expand our product offerings successfully across product categories, or if we do not rapidly develop products in faster growing and more profitable categories, demand for our products could decrease, which could materially and adversely affect our product sales, financial condition, and results of operations. In addition, achieving growth depends on our successful development, introduction, and marketing of innovative new products and line extensions. Successful innovation depends on our ability to correctly anticipate customer and consumer acceptance, to obtain, protect and maintain necessary intellectual property rights, and to avoid infringing the intellectual property rights of others and failure to do so could compromise our competitive position and adversely impact our business. Changing regulations around the use of cryptocurrencies poses risk to the Company. The use of cryptocurrency as a future feature within the business could be curtailed in certain jurisdictions, requiring additional engineering work to decouple the applications from the cryptocurrency. The Company started a cryptocurrency sale earlier in the year but forbade participation from the US public. There may be liability in the future due to this crypto-currnecy sale. 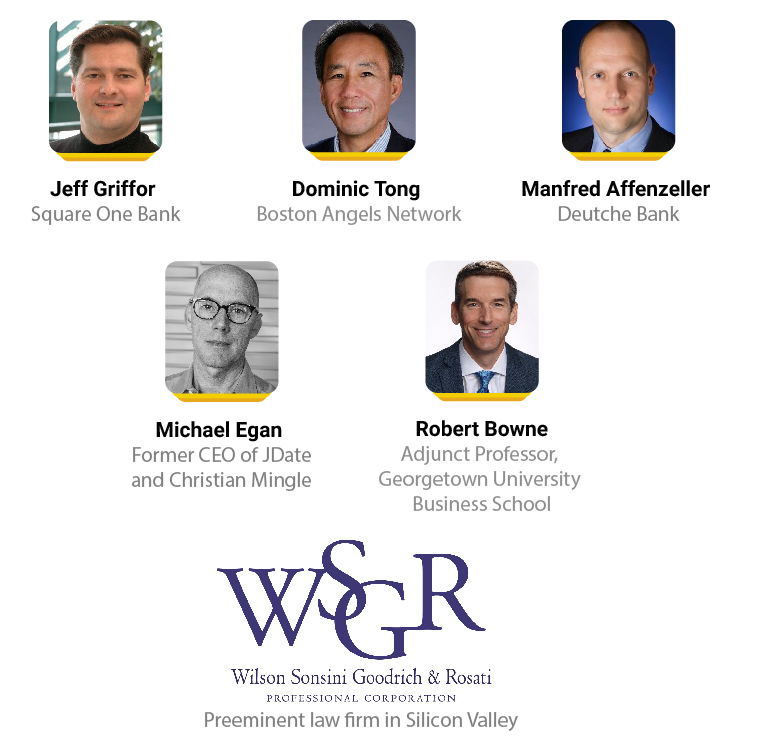 Bitcoin and other crypto assets currently face an uncertain regulatory landscape in not only the United States but also in many foreign jurisdictions such as the European Union. While the German Ministry of Finance has declared Bitcoin to be "Rechnungseinheiten" (a form of private money that is recognized as a unit of account, but not recognized in the same manner as fiat currency), most regulatory bodies have not yet issued official statements regarding intention to regulate or determinations on regulation of Bitcoin, Bitcoin users and the Bitcoin network. Conversely, regulatory bodies in some countries such as Canada and India have declined to exercise regulatory authority when afforded the opportunity. Various foreign jurisdictions may, in the near future, adopt laws, regulations or directives that affect the Bitcoin network and its users, particularly Bitcoin exchanges and service providers that fall within such jurisdictionsÕ regulatory scope. Such laws, regulations or directives may conflict with those of the United States and may negatively impact the acceptance of Bitcoins by users, merchants and service providers outside of the United States and may therefore impede the growth of the Bitcoin economy. We are not able to predict the effect of any future regulatory change on the Company or Bitcoins, but such change could be substantial and adverse to the Company or the value of the Shares. It may be illegal now, or in the future, to acquire, own, hold, sell or use Bitcoins and other crypto assets in one or more countries. Although currently Bitcoins are not regulated or are lightly regulated in most countries, including the United States, one or more countries may take regulatory actions in the future that severely restricts the right to acquire, own, hold, sell or use Bitcoins or to exchange Bitcoins for fiat currency. Such an action may also result in the restriction of ownership, holding or trading in the Securities. Such a restriction could result in the termination and liquidation of the Company at a time that is disadvantageous to Investor, or may adversely affect an investment in the Company. The Company may be deemed a "money transmitter." To the extent that the activities of the Company cause it to be deemed a "money transmitter" under the regulations promulgated by FinCEN under the authority of the U.S. Bank Secrecy Act, the Company may be required to comply with FinCEN regulations, including those that would mandate the Company to implement anti-money laundering programs, make certain reports to FinCEN and maintain certain records. Such additional regulatory obligations may cause the Company to incur extraordinary expenses, possibly affecting an investment in the Securities in a material and adverse manner. Additionally, certain states including California, Idaho and New York require Bitcoin businesses to register on the state level as money transmitters. The Units of Crowd SAFE (Simple Agreement for Future Equity) will not be freely tradable until one year from the initial purchase date. Although the Units of Crowd SAFE (Simple Agreement for Future Equity) may be tradable under federal securities law, state securities regulations may apply and each Purchaser should consult with his or her attorney. You should be aware of the long-term nature of this investment. There is not now and likely will not be a public market for the Units of Crowd SAFE (Simple Agreement for Future Equity). Because the Units of Crowd SAFE (Simple Agreement for Future Equity) have not been registered under the Securities Act or under the securities laws of any state or non-United States jurisdiction, the Units of Crowd SAFE (Simple Agreement for Future Equity) have transfer restrictions and cannot be resold in the United States except pursuant to Rule 501 of Regulation CF. It is not currently contemplated that registration under the Securities Act or other securities laws will be effected. Limitations on the transfer of the Units of Crowd SAFE (Simple Agreement for Future Equity) may also adversely affect the price that you might be able to obtain for the Units of Crowd SAFE (Simple Agreement for Future Equity) in a private sale. Purchasers should be aware of the long-term nature of their investment in the Company. Each Purchaser in this Offering will be required to represent that it is purchasing the Securities for its own account, for investment purposes and not with a view to resale or distribution thereof. Purchasers will not become equity holders until the Securities convert into CF Shadow Securities or until an IPO or sale of the Company. The Securities will accrue no interest and have no maturity date. Therefore, Purchasers will not be compensated for the time in which the Company uses the proceeds from the Offering before a possible Equity Financing or Liquidity Event that could result in the conversion of the Security, to the benefit of the Investor. The Company may never receive a future equity financing or elect to convert the Securities upon such future financing. In addition, the Company may never undergo a liquidity event such as a sale of the Company or an IPO. If neither the conversion of the Securities nor a liquidity event occurs, the Purchasers could be left holding the Securities in perpetuity. The Securities have numerous transfer restrictions and will likely be highly illiquid, with no secondary market on which to sell them. The Securities are not equity interests, have no ownership rights, have no rights to the CompanyÕs assets or profits and have no voting rights or ability to direct the Company or its actions. The Securities do not have a discount rate, which would be applied to the conversion price of the Securities based on the price of a future equity financing. Convertible securities often provide a discount rate, which is applied to the price of the future financing to determine the conversion price. For instance, if the future equity financing were priced at $10 per share, convertible securities that incorporated a discount rate might be convertible at $8 per share. Such discount rate benefits the convertible security holders, who receive more securities from the conversion than the purchase price of their convertible securities would suggest. The Securities do not have a discount rate and thus, will be convertible at the price established by the future equity financing regardless of the price of such future securities or the future valuation of the Company. In addition to the risks listed above, businesses are often subject to risks not foreseen or fully appreciated by the management. It is not possible to foresee all risks that may affect us. Moreover, the Company cannot predict whether the Company will successfully effectuate the CompanyÕs current business plan. Each prospective Purchaser is encouraged to carefully analyze the risks and merits of an investment in the Securities and should take into consideration when making such analysis, among other, the Risk Factors discussed above. THE SECURITIES OFFERED INVOLVE A HIGH DEGREE OF RISK AND MAY RESULT IN THE LOSS OF YOUR ENTIRE INVESTMENT. ANY PERSON CONSIDERING THE PURCHASE OF THESE SECURITIES SHOULD BE AWARE OF THESE AND OTHER FACTORS SET FORTH IN THIS FORM C AND SHOULD CONSULT WITH HIS OR HER LEGAL, TAX AND FINANCIAL ADVISORS PRIOR TO MAKING AN INVESTMENT IN THE SECURITIES. THE SECURITIES SHOULD ONLY BE PURCHASED BY PERSONS WHO CAN AFFORD TO LOSE ALL OF THEIR INVESTMENT. I believe that the concept of socialising referrals could be very powerful - and has a number of commercial uses across a plethora of industries. Good concept, already operating well, building up clientele, great management, experienced people in operations and finance. The idea has a lot of potential, hope the team will get it right! All the Best! Algorithms can help AI find referrals, but the human element will always be more effective. future value in good and growing industries. I honestly believe that cryptocurrency is the way of our financial future. I believe that it is something that will help people connect and I think it is a game changer! Hopefully it will one provide a nest egg for my wife and I.
I invested because I’ve been a byproduct of a referral in my working career the finance industry. I’ve given back and referred jobs to my friends and my family. To be compensated for helping somebody out like this is brilliant! This is a good idea. People are good at matching their friends with potential loved ones and creative partners. I see Potential in this line of business as it is innovative and a good way to meet new people. With change in technology, the world is getting more electronic based and referrals becoming more valued on a trusted platform. I see PONDER as a multi billion Business in the next 5yrs. Revenues will start flowing as it gets bigger in Asian Markets. An interesting idea, that can change the way referrals work. I adore the use of blockchain technology in practical, lifestyle apps. Having worked on similar projects recently, I recognise the immense value of the platform, plus the appeal Ponder will have for their diverse target audience. It solves a real world problem, which no one has addressed properly yet. This new App for referrals could be the next big thing. I believe in the value of recommendations. I have a massive network and strongly believe that a Network is a person's Networth! It is an extremely innovative approach to match making and referrals leveraging technology. I invested $500 as see Ponder promising and wish to grow with the startup. I wish all the best to Ponder for their ventures. I invested because I believe in supporting new ideas ! Impressed with its outlook, approach and vision. It's an exciting tool which has potential to be a game-changer in business of referrals. i know the risk is high, yet you can profit from risk. I want to share in a success story.